2 Bedroom Semi Detached House For Sale in Tunbridge Wells for Guide Price £380,000. Guide price 380,000 - 400,000. Freeman Forman are delighted to present this immaculate two double bedroom semi detached house, occupying an enviable off road position on the exclusive Knightswood Development. The property boasts a driveway for two cars and a low maintenance south facing rear garden with gated side access. The accommodation includes an entrance hall, cloakroom, cloaks cupboard, stylishly appointed and upgraded kitchen/diner with fully integrated appliances, and a sitting room with doors leading to the rear garden. Stairs rise from the entrance hall to the first floor landing where two large double bedrooms are located along with a bathroom which is fitted with a white suite. The property enjoys a gas central heating system and double glazing throughout the accommodation. 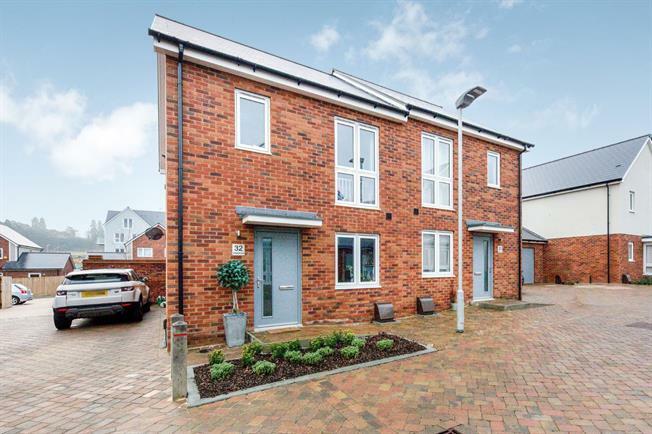 The property was built approximately 18 months ago, and the development benefits from a new convenience store, and the Skinners Primary School. The High Brooms Mainline Railway Station, A21, and the North Farm Retail Park are all within easy reach. An internal viewing of this well appointed property comes highly recommended.